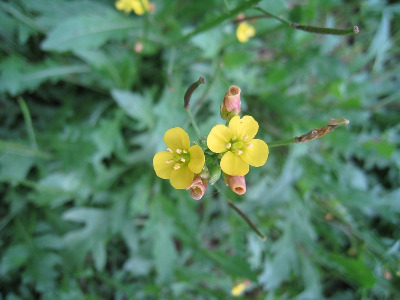 A native of Europe, found locally as a weed of roadsides, railroads, disturbed ground, sandy shores. First collected in 1916 at Port Huron (St. Clair Co.). A perennial, several-branched from the woody base, usually distinguished easily from D. muralis by its larger, paler flowers, leafy stem, and deeply pinnatifid leaves with the narrow lateral segments about the same width as the rachis. MICHIGAN FLORA ONLINE. A. A. Reznicek, E. G. Voss, & B. S. Walters. February 2011. University of Michigan. Web. 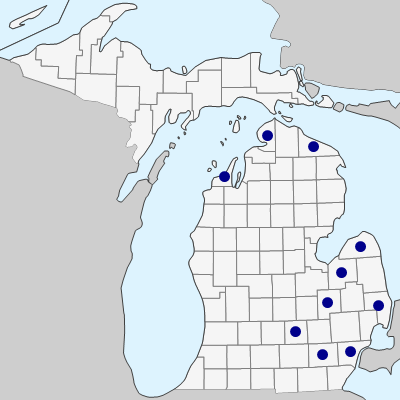 April 21, 2019. https://michiganflora.net/species.aspx?id=640.